Most quilters have come to know ‘shirtings’ as a cotton fabric with small abstract, geometric, or figure prints. Most commonly the ground is white with the figures printed in one color. A friend recently found a 5 yard chunk of shirting fabric from the 1890’s at a garage sale. Frequently prints like these with black or brown designs show signs of disintegration because the aniline dyes over time oxidize (burn) the cotton fibers. In quilts we see prints with small holes the shape and size of the original design; or we see discoloration around the print. Did you know aniline was also used as a rocket fuel as well as a dye? Shirtings were used to make men’s shirts and women’s shirtwaists (a women’s blouse which had similar details to a men’s shirt). Although many households sewed their own men’s shirts and women’s shirtwaists in the home, the garment industry employed many in the manufacture of these garments. In 1911 the Triangle Shirtwaist Fire killed 145 workers, mostly teenage girls as they attempted to evacuate the building through narrow staircases only to find that at least one of the doors was locked from the outside. As a result of the fire, laws were changed to protect workers and to make factories safer. I have three inspirations for today’s blog, first I cannot help but be saddened by all of the violence and death in the news these last several months. Noticing the flag at half staff in memory of fallen citizens and police officers has become such a normal part of my day that I wonder if the flag will ever go up to the top of the flag pole again. 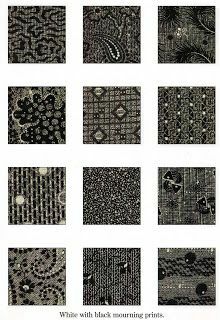 Thinking about our nation’s mourning rituals led me to think of the black and white ‘mourning’ prints common in quilts of the 1890’s. I also recently found the black and white quilt, above, which is made almost entirely of mourning prints from about 1890. 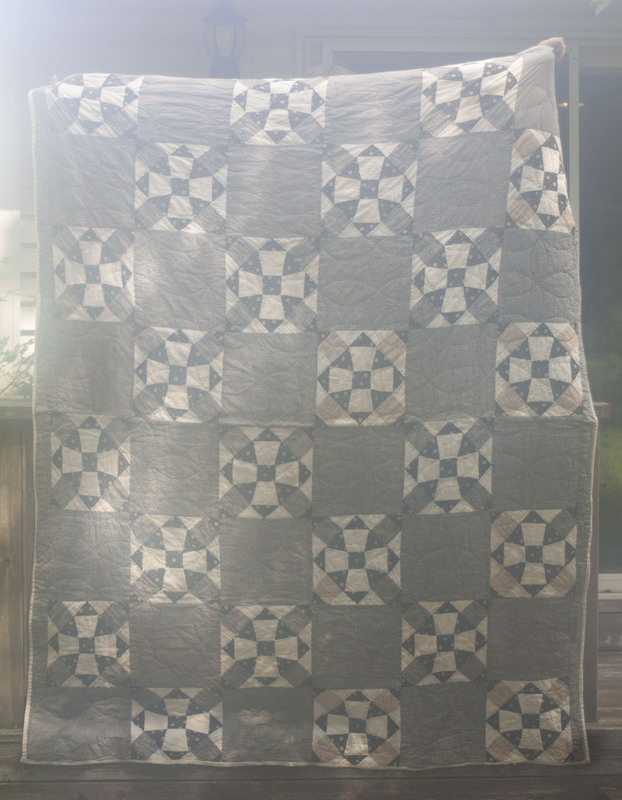 I thought that the quilt could easily be the source of inspiration for some of the contemporary quilts and fabrics I’ve recently seen in shows and online. 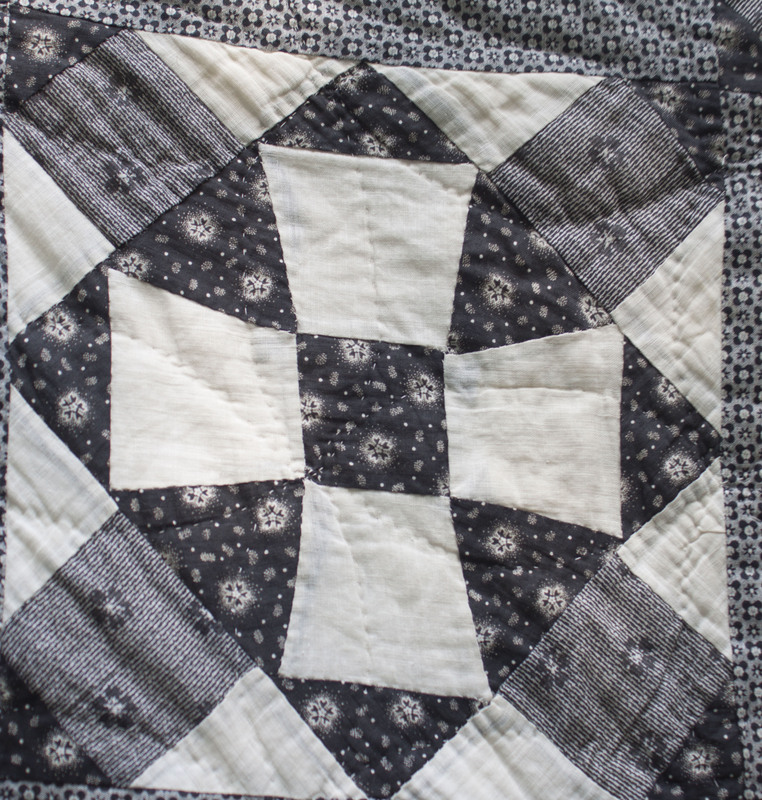 I am really excited to share with you some of my research regarding the 1890’s black and white fabrics and the resulting quilts. To understand why these fabrics were called mourning prints it is necessary to look back into the history of the Victorian age and the customs relating to death. 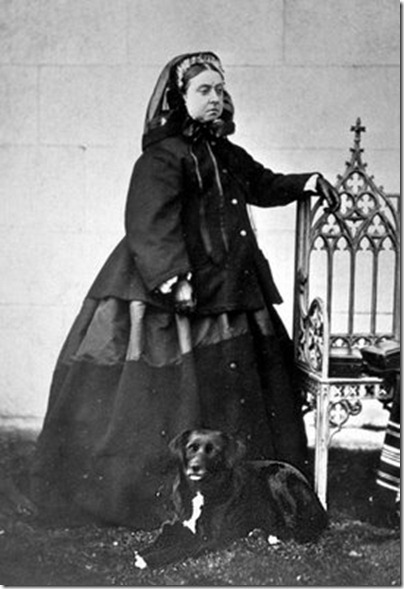 In 1861, Queen Victoria’s husband died of typhoid (as it was diagnosed at the time by his doctors) or, according to some recent research, un-diagnosed Crohn’s Disease (a disease which the Victorians did not know about). After his death, the Queen fell into deep mourning. At the time mourning rituals were strictly followed and, as Queen Victoria had strongly influenced fashion prior to Prince Albert’s death, so she also influenced mourning customs and fashions after his death. In my very unscientific poll of fashion plates found with my browser’s search engine, I found that the number of black dresses increased steadily throughout the 1860’s, a time during which there was a great deal of loss of life here in the United States due to the Civil War and several epidemics, e.g. diphtheria (1870), cholera (1866), smallpox (1860-61), typhoid (1865) and yellow fever (1855, 2000 dead, and 1878, 20,000 dead). In fact most of the men fighting in the war who died, did so, not as a result of hostile fire, but as a result of many of the diseases which ran unchecked in close and unsanitary living conditions. Fashion Plate, 1866, Barrington House. 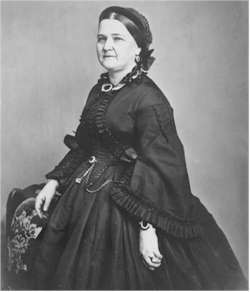 Like Queen Victoria, after Lincoln was assassinated in 1865 Mary Todd Lincoln wore black for the rest of her life. Throughout the 1860’s, 1870’s, and 1880’s mourning fashions continued to become more and more complicated with additional stages to mourning and with articles of clothing required for each stage. I can only imagine how expensive it must have become for families to progress from black wool, silks, and velvet with heavy crepe veils and then to half-mourning grays and lastly purples. If a family could not afford the more expensive fabrics, they would re-work or over-dye older apparel. Mourning and half-mourning became more affordable for everyone and the number of black and white calico fabrics increased. Women used these calicos for aprons (see photos below found here), shirtwaists (blouses), and dresses which could stand up to repeated washing and hard work. Unfortunately, although the new black dye appeared to be stable, we now know otherwise: it was made with a compound containing sulfur, and, when washed, the sulfur in the dye combined with water and became sulfuric acid. The sulfuric acid did not appear to cause harm to the wearer, but it is one of the reasons why we see this type of fabric disintegrating in the places where it was printed with black. I couldn’t resist showing you this eerie shot of the quilt. Today we have scorching temperatures and very high humidity, when we went outside to take the photos the lens of my camera fogged up. I did not notice until after I took this shot. I’m going to think of this as my ‘ghost’ quilt. If you have any vintage or antique quilts which haven’t been appraised please contact me thru the website. I have appraisal appointments available in my schedule.